Copyright 2004. This printing 2006. Measures 5-1/2" x 8-1/2" with 70 pages. Very informative. Very nicely done. Info on where to find them, how old they are, how to polish them and much more. 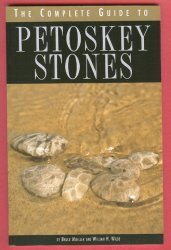 Many photos of the Petoskey stone.